I know I recently talked about the benefits of pumpkin, and the benefits of butternut squash are not far off, but I love it so much that I had to write about it. This year we attempted (successfully I might add) to grow our own butternut squash. 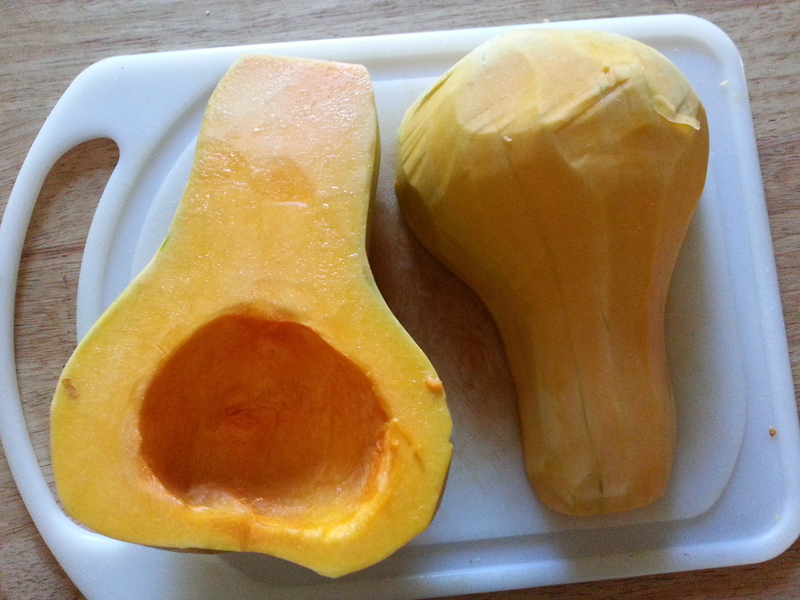 This magical winter squash is one of the healthiest vegetables you can feed to your dog. It is higher in Vitamin-C than any other winter squash. It is also a packed full of fiber, vitamin A and potassium. Vitamin-c helps boost your dog’s immune system while vitamin-A helps with vision health. 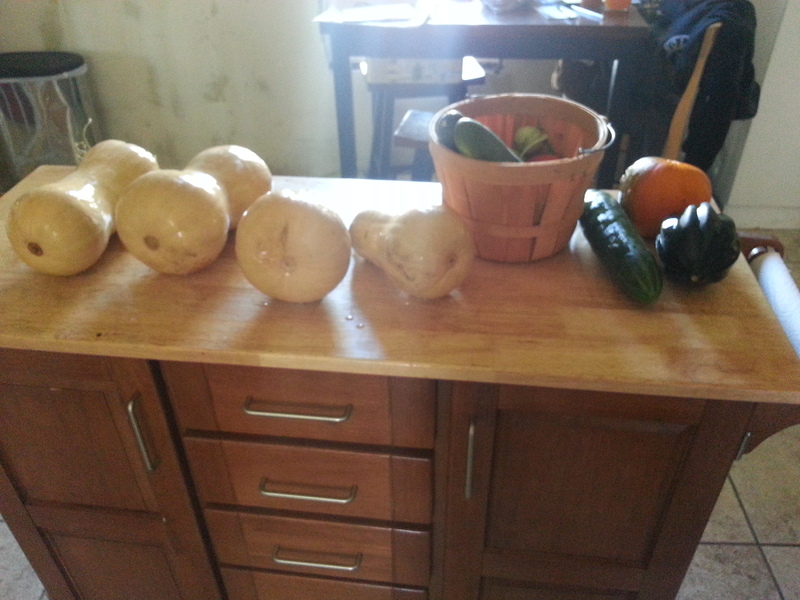 For the Butternut Squash Garden Veg Puree I started off by peeling, seeding and cutting up the squash. 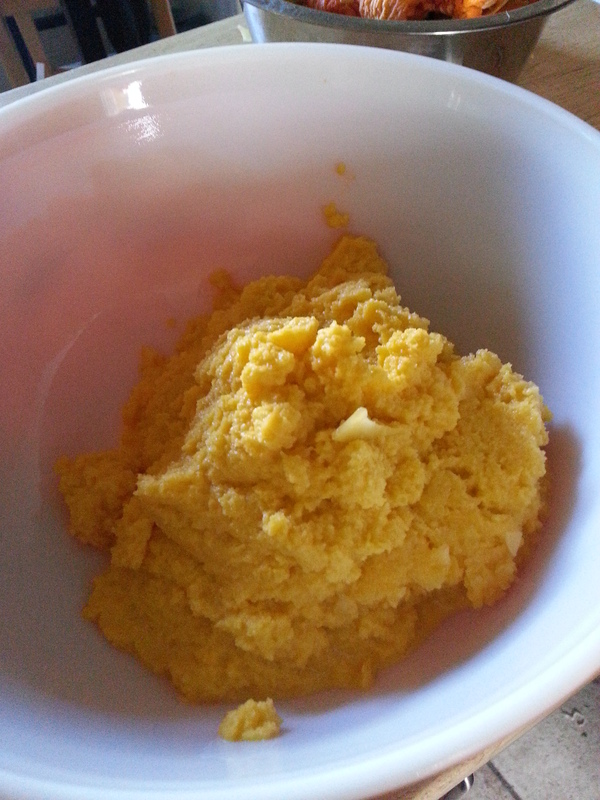 I then pureed the squash in a few different batches because it quickly filled my food processor. I added olive oil to the puree to help my processor out. 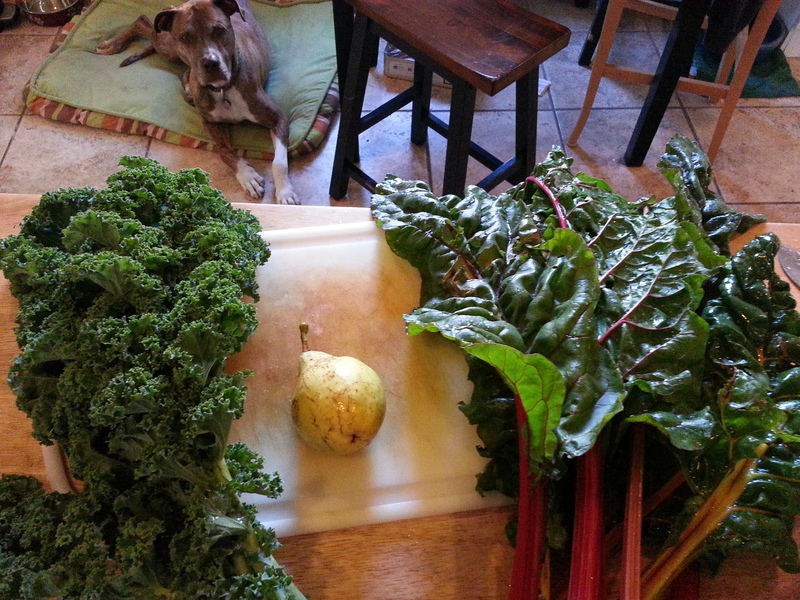 I then separately pureed some Swiss chard, kale and a pear from my garden. I also added some apple cider vinegar and some more olive oil. I then mixed all the purees together. 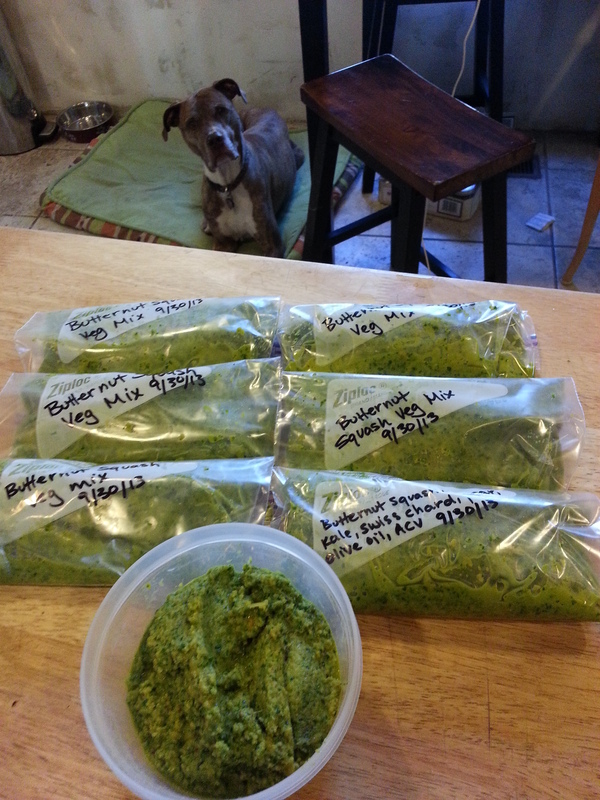 You can do this all in one batch if you use smaller quantities or if you have a giant blender…which I don’t. And, Voila! 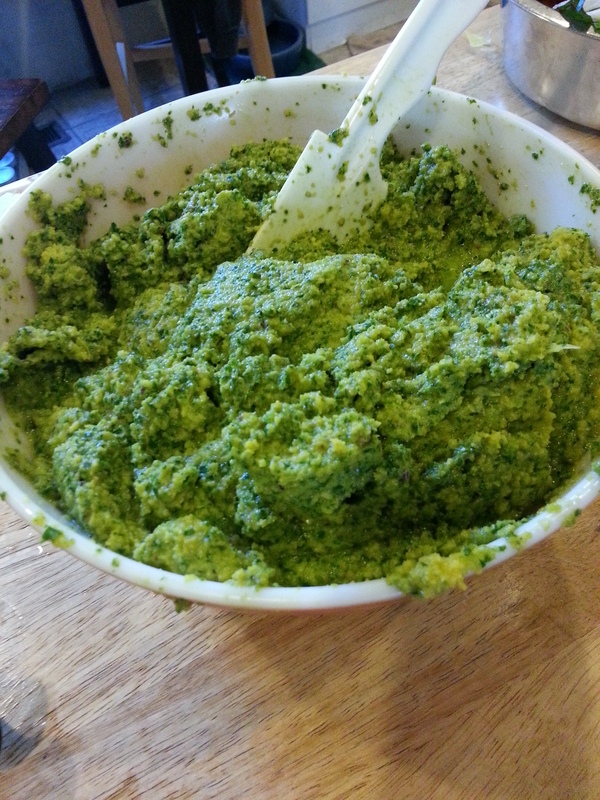 You have a big mixing bowl full of veggy puree. I bagged it up into six labeled and dated freezer zip locks and one small tupperware. The tupperware portion will be served up for the pups meals for the next week or so and the freezer bags will keep me stocked for a while. Of course, I still have plenty of produce growing in my garden so I’ll probably make a couple more fresh purees before the snow really starts to fall.